Ukrainian sailors take medical examination in detention - Ombudsman | Russian Legal Information Agency (RAPSI). MOSCOW, February 26 (RAPSI) – Three Ukrainian sailors wounded as they illegally crossed Russian borders received a complex medical examination in a civilian hospital, according to a statement published on the Russian Rights Commissioner’s website. All three men are satisfied with the treatment they got, the statement reads. Earlier, Russia’s Ombudsman Tatyana Moskalkova and Vice-President of the European Ombudsman Institute Nina Karpacheva had visited Ukrainian sailors in the detention center Lefortovo, where they discussed the possibility to treat the injured in civilian medical institutions of Moscow. Russia’s High Commissioner for Human Rights Tatyana Moskalkova said in December that the sailors’ rights were not violated. 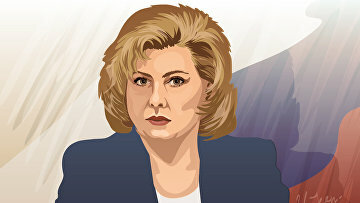 Their rights were observed as required by international and Russian laws, Moskalkova told journalists at that time.